A manhunt in Manchester, New Hampshire is intensifying, as authorities across the country join the search for Preston Thorpe. Thorpe, 24, is accused of selling Granite Staters carfentanil, a drug that's 100 times more powerful than fentanyl. 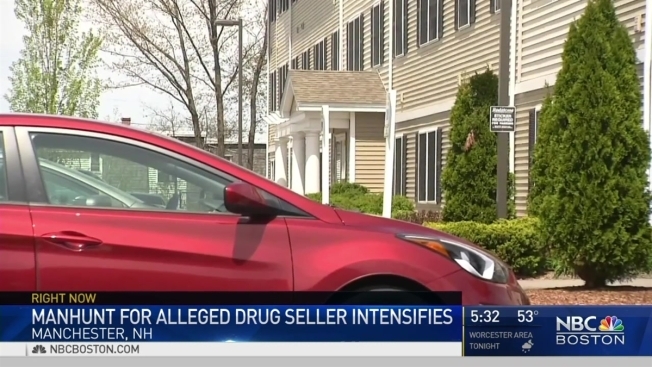 A manhunt in Manchester, New Hampshire is intensifying, as authorities across the country join the search for Preston Thorpe a man they accuse of introducing carfentanil to the streets of Manchester. The drug is 100 times more powerful than fentanyl. Carfentanil has recently claimed three lives in New Hampshire. A nationwide extraditable arrest warrant charging Thorpe, 24, with possession of carfentanil was issued today, after a raid by federal and local police on Tuesday found his apartment cleaned out. Authorities were in full hazmat gear, prepared to encounter Carfentanil. It’s an elephant tranquilizer so powerful it could cause an overdose if it touches human skin. The images of Tuesday’s raid are disturbing, especially for people who live in the typically quiet Manchester neighborhood. “I saw some of the pictures and I was surprised at what they have to go through,” said Ted Maloney. “The fact that we know it is a clear and present danger and we could come across it at any moment, we have to take all the precautions necessary,” explained DEA Northern New England Assistant Special Agent in Charge Jon DeLena. “Listen, anyone that’s dealing in fentanyl is dealing in death, anyone that is dealing in Carfentanil, well you can do the math from there,” DeLena said. The eight fatal overdoses in April are now being tested at the state lab. Just this week, Manchester first responders tell us two more people have died and more than 30 have overdosed. “If we are to determine that someone is dealing in Carfentanil, we are going to do everything in our power to put an end to it,” DeLena said. Authorities are asking for the public’s help. If you know anything about Thorpe or where he might be, call (603) 624-4040.